TO ALL OF OUR SIGNATORS, THANK YOU FOR SIGNING OUR PETITION. CONTINUE TO GET MORE PEOPLE TO SIGN AND JOIN US IN OUR MARCH ON APRIL 22, 12;00 PM CENTRAL STANDARD TIME (CST). We the undersigned members of Youth In A Green War call upon all provincial and municipal governments to enact the necessary legislation and or policies to match the European Union on their ban on unnecessary single use plastics. 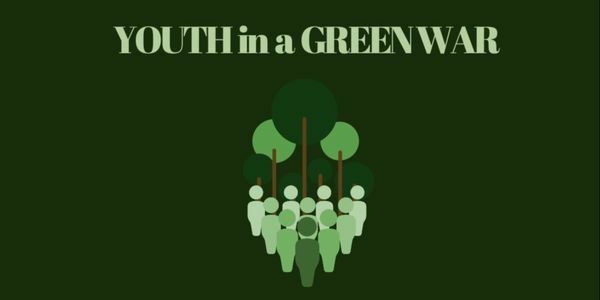 On behalf of the members of Youth in a Green War, we thank everyone that has signed our petition! The following is a copy of our call to action. Thank you to everyone that signed our petition! Our march to demand action against climate change is drawing near on April 22. More info about our march will be added to the petition and any questions can be directed through our email. Help us make noise by following all of our social media and sharing it with all of contacts!